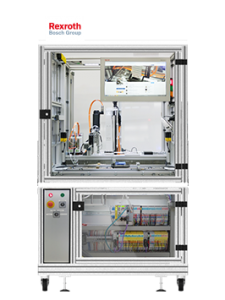 In 2017, the expanded Industrie 4.0 production plant of the SmartFactoryKL partner group appears in a new layout: for the first time, the modules are no longer set up in one line but distributed over two production cells as well as a manual work station. Products can now be manufactured in different ways – thanks to the use of the Flexible Transport System. Furthermore, the production modules, the general infrastructure and the IT systems are all interconnected. 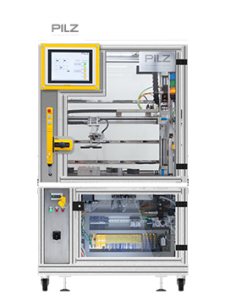 The STORAGE MODULE by Pilz is an intelligent, automated warehousing module, used to store the workpiece transporters: If the central server sends a new work order to the module, thereby, requesting an additional transporter, the storage module supplies an empty workpiece carrier from storage. Empty workpiece carriers or semi-finished products can also be returned to the warehouse. 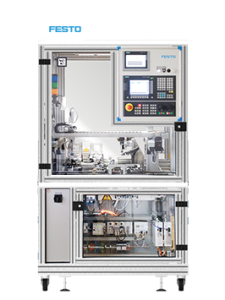 The module Bottom Engraving by Festo initializes the digital product memory to a specific production order via RFID. The production order is loaded from a Web Server of the superordinate Enterprise Resource Planning system (ERP) via http-protocol by means of a specially developed Web Client. Corresponding to the product memory, an individual engraving is performed via a CNC engraving control. In the following production step, the CLIP MODULE by Bosch Rexroth mounts a retaining clip to the plastic bottom. The FORCE FITTING module by Harting performs the central mounting of the two housing parts. The bottom with a mounted retaining clip is assembled with the cover chosen in one of the two available colors, as per customer request. 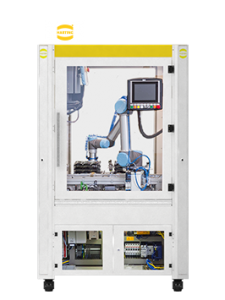 The Harting module puts the lid on the base plate with a robot and embosses both parts together. The module LASER MARKING by the company Phoenix Contact uses a laser system to put an individual engraving on the topside of the business card holder. The engraver displays the digital business card as QR code. Individual data can be flexibly changed upon the client’s request right up to the corresponding process step. The WEIGHING MODULE by Mettler Toledo determines the weight of each product by means of a precision scale. 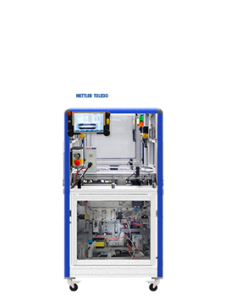 The metrological quality control compares the product memory with the actual assembly status. The module QUALITY CONTROL by Lapp Kabel performs two tasks: Product end control by means of a high-resolution camera as well as the final output of the finished business card holder. independent linking of quality data to the service provider cloud. 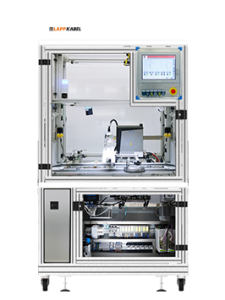 A powerful, flexible infrastructure is required to universally combine manufacturer-independent production modules with a minimum of configuration effort. Such an infrastructure can assume all major supply and management functions. These functions include the energy supply, data routing, and comprehensive safety controls. The infrastructure is the connecting lifeline between the production modules, which are otherwise fully autonomous. 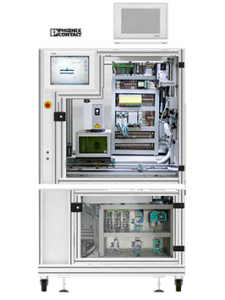 It is also modular in design and enables the connection of manufacturer-independent production modules. Standard plug connectors link manufacturer-specific infrastructure boxes that are designed as separate boxes, each with two module supply interfaces. 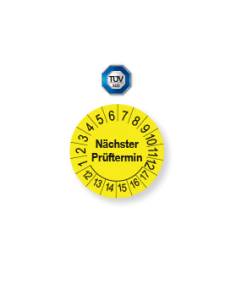 HARTING, Phoenix Contact, Belden/Hirschmann and Weidmüller supply the infrastructure boxes as independent, yet compatible proprietary developments that supply the system. 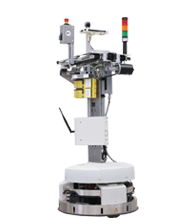 A MANUAL WORKSTATION is also connected to the process via the robot platform, a system created by MiniTec. Internet and communication systems provide optional support to the worker for various assembly tasks from an ergonomically perfect work station. Thanks to the Augmented Reality systems developed at SmartFactoryKL , an individual process step or even an entire production process can occur completely manually. 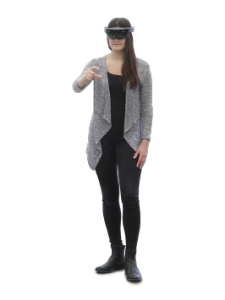 Augmented Reality – the connection of real-time pictures with recommendations for actions – offers many advantages, especially for training processes and assembly with many variants. Through an integrated RFID reading and writing device, the employee can read out the current production progress of the product as well as the clientspecific information. Augmented Reality Technologies support him with the implementation of the variable tasks. Mobile devices like tablets, smartphones, smartwatches, and smartglasses are useful in providing an appropriate mobile support to the worker. The use of artificial intelligence to merge and evaluate the data from various sources allows the filtering of data to provide workers with relevant information only. Augmented Reality systems are the proper means for this. For example, at the scene of the action, workers are guided through the process with the aid of data glasses. Information and work instructions are projected into the glasses at the same time so the user has both hands free to carry out the work. How can existing production facilities be digitalized? This is the central question of vertical integration asked by many manufacturing companies when retrofitting their brownfield facilities. One answer is “by the use of Edge Devices”. Existing automation systems, in particular, are not often prepared for universal networking. 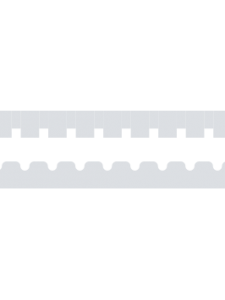 Implementing such a connection, in terms of simple and cost-effective retrofitting, can be done with Edge Devices, a kind of complex small computer. The SmartFactoryKL plant integrated several Edge Devices from B&R, HARTING, METTLER TOLEDO, Phoenix Contact and Siemens. In keeping with the manufacturer-independent approach on which the system is based, various solutions from different manufacturers are used. At the controller interface (the “southbound” interface), partner companies have implemented various technical options. In all cases, additional sensors ensure condition data like the flow of compressed air in pneumatic actuators, the power consumed by electrical equipment, or the controller data are measured, without any interference with the existing systems and controls. All Edge Device solutions share a common IT interface (the so called “northbound” interface), provided via standard OPC UA. This corresponds to the communication protocol defined by the SmartFactoryKL partner consortium. 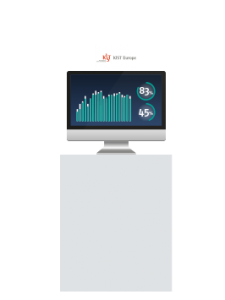 To achieve maximum added value, data are securely sent to the SmartFactoryKL Cloud via MQTT protocol after conversion at the integration layer to be evaluated. By means of smart data analytics in the context of condition monitoring, conclusions are drawn concerning the plant status and, for example, predictive maintenance can be initiated. The Flexible Transport System (FTS) is equipped with an optical quality control system from Huawei. 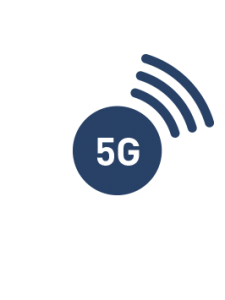 The use of 5G wireless technology enables a fast, secure, and location-independent linking of quality data to the service provider cloud. 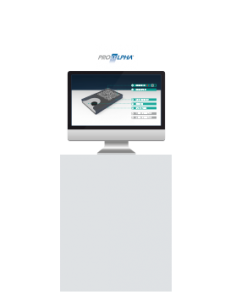 The integrated ERP system by proALPHA controls the processes in the Industry 4.0 demonstrator and keeps them transparent. The solution is able to create an integration between the levels of the classic automation pyramid and provides an user interface for the customer. 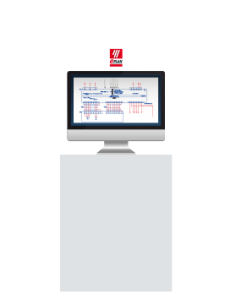 The product configurator in conjunction with a Web Service allows intuitive and location-independent orders in the browser by the customer down to batch size one. Feedback from the plant is observable in real-time and the customer is informed about the current status of production progress. 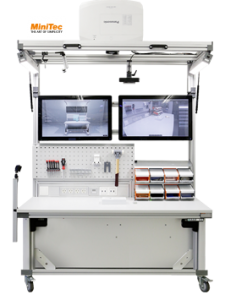 EPLAN Software & Service is responsible for engineering the Industrie 4.0 demonstrator. An interdisciplinary management approach to the automation of the individual production modules is critical for the design, efficiency, and operational safety of Cyber Physical Systems (CPS). The documented control system for the entire supply chain and the complete product life cycle is used as a comprehensive consistent database. The goal is to consider insights from the entire supply chain early in the design phase or the PLM process (product life cycle management). The generated documentation, for example, is suitable for a professionalized maintenance scenario or to optimize the energy balance. The plant data collected and provided by the integration layer is collected by KIST‘s data analytics product. This enables the generation of chronological data models, which are used to derive analytical insights, for example, about the behavior of a component prior to recurring maintenance cases. Bottlenecks, rejects, rework, and downtimes can all be avoided at an early stage by comparing the historical sensor data with live data from the plant. Over the course of time and the increasing amount of data, the insights and statements have more and more precision and the process flow can be constantly optimized. The certification concept of TÜV Süd is designed for the certification of a modular and, consequently, a constantly changing production line. The certification is explained using the example of the flexible transport system: The moment the transport system docks to a production cell, it is assigned to this machine group. An emergency stop triggered at one part of the assembly module only causes an emergency stop of the transport system when it is part of this group. Besides enabling the connection of new modules with little effort, this safety concept also ensures that only relevant sections of the system are stopped in the event of safety-related shutdown. The unaffected production lines continue to operate without any risk to operational safety. The INTEGRATION LAYER of SmartFactoryKL is achieved with the help of IBMs Watson IoT platform. The platform forms the central interface between OT (operation technology) and IT (information technology) and serves as a cross-layer instance for connecting the manufacturer‘s clouds. In terms of the vertical integration of all production processes, the integration layer takes on the role of a compiler: simultaneously, exercising data sovereignty over the shop floor. 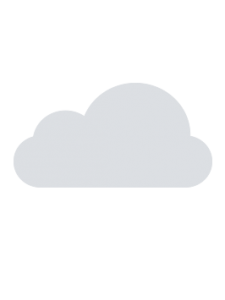 It captures content, protocols, and data formats from the plant (for example, condition data from the modules and Edge Devices) and, in a targeted manner, forwards them to the associated cloud. In addition, various analytical, cognitive, and DevOps services from the Watson IoT platform are used to map aspects like operational excellence, predictive maintenance, and quality assurance in a multi-cloud scenario in the context of horizontal integration. This makes it possible to show the product, all modules, and even decisions from the IT systems to the worker in real time (Digital Twin). The Company clouds from METTLER TOLEDO, Phoenix Contact and Siemens are connected to the associated Edge Devices (use case ). 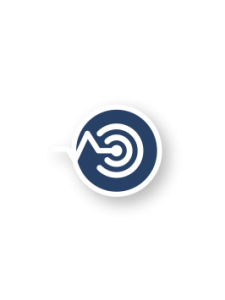 The SmartFactoryKL cloud, as higher-level cloud platform, consolidates the data in the separate clouds, checks it, and makes a targeted distribution. In this way, the SmartFactoryKL Cloud, for example, can draw conclusions from faulty or deviant data and communicate the appropriate maintenance instruction to the worker via the hololens.The Service Provider Cloud from SAP is directly linked via 5G technology to the Flexible Transport System and carries out the actual quality control using the optical recognition data from the workpiece.